I live in an area that’s kind of rural. When I go outside I never know what I’ll see. 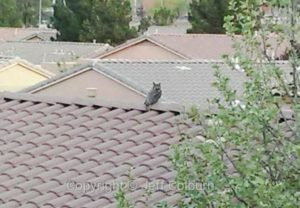 I’ve seen javelina, quail, hawks (one was sitting on a fence 5 feet away from me with a mouse in his talons), snakes, skunk, roadrunners. vultures, foxes, tarantulas and more. A neighbor even saw an eagle fly down our street. 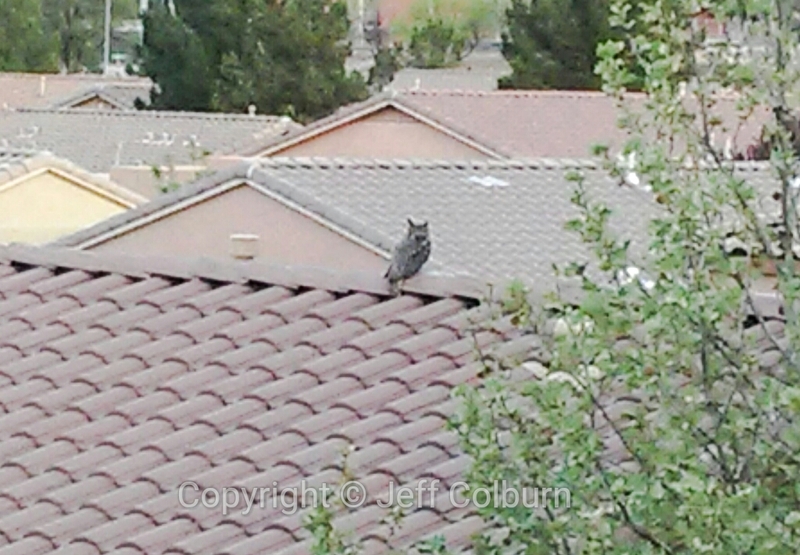 But this is the first time I’ve seen a horned owl. Let me know what kind of photos you want to see.